This is a small case study of two jobs. 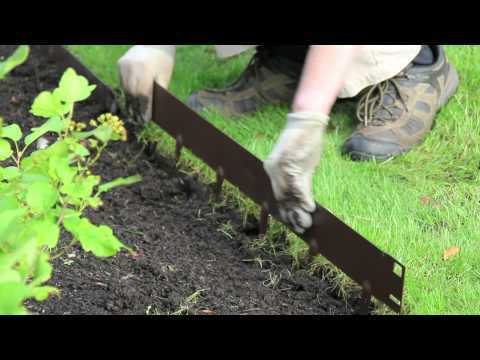 Both jobs used EverEdge Classic steel edging to create raised beds to grow fruit and vegetables. The first job is in Norway and shows how the Classic edging range can be part of the solution to the age old problem of what to do with seeming unusable space. Here, the customer had a narrow alleyway between two building which, up until now, had been used as a dumping ground "out of sight, out of mind". The alleyway was a suntrap and the client knew that it could be better used. He decided to create two raised beds with a path running through the middle. To create the beds, he used EverEdge Classic 100mm high edging and, once the work was complete, the area is now a glorious vista of colour and delicious vegetables. The second project is much more traditional but the start of the story is similar. A rough, unused patch of land was going to waste. Here the client decided on a simple gravelled area with a number of raised beds. He used EverEdge Classic 125mm high edging and the area is now a feast for the eyes, and for the tummy!